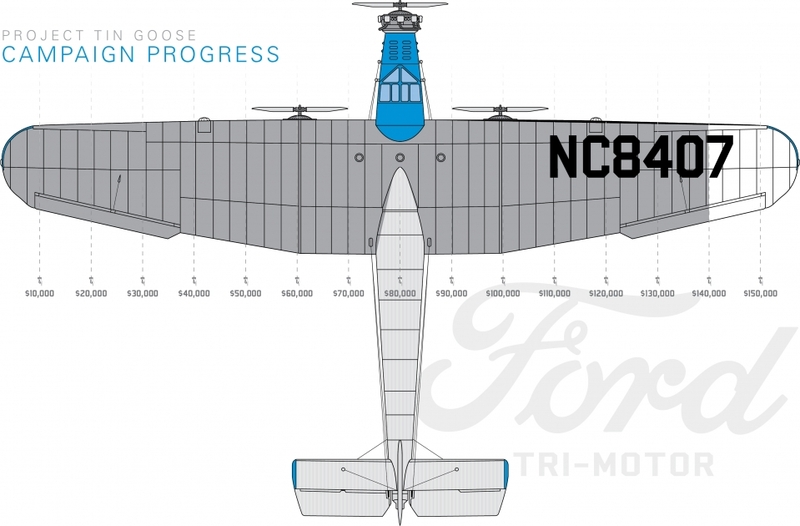 Affectionately known as the Tin Goose, the Ford Tri-Motor redefined civilian passenger travel in the late 1920s and marked the beginning of commercial flight. EAA’s Ford Tri-Motor has been part of the EAA Flight Experiences program for more than 25 years. Its mission is to allow eager passengers to relive the excitement and potential of early commercial air travel while aboard this historic aircraft. Following a July 2017 repair to the right wing of EAA’s Ford Tri-Motor, the organization made a proactive decision to take the aircraft out of service after AirVenture 2018 and replace the original 90-year-old wings. Because of the original construction process, the wings need to be custom made for each aircraft. Knowing of our impending situation, several years ago Hov-Aire, Inc. started fabricating the wings for our plane on faith that EAA would someday purchase them to keep the Tin Goose flying as part of its Flight Experiences program. In the spring of 2018, EAA agreed to purchase the wings at the cost of $1 million. Following installation, the aircraft will be back on tour starting in late spring of 2019. This strategy allows EAA to make a down payment on the wings and pay the remaining costs over the next eight years. It will also allow us to keep the ticket price reasonable and thus the aircraft ride experience accessible for the general public. EAA founder Paul H. Poberezny was the first to discover the potential in this particular Ford Tri-Motor in 1973 after it was nearly destroyed by a violent thunderstorm at an air show in Burlington, Wisconsin. Because of the extensive damage to the aircraft, it was initially restored as a static display. But, in typical EAA fashion, with the help of dedicated volunteers and donors, it flew again in 1985 after 12 years of restoration. We thank our active chapters for rallying around EAA’s iconic Ford Tri-Motor and helping to keep it airworthy for future generations to enjoy and cherish. Your support is genuinely appreciated.